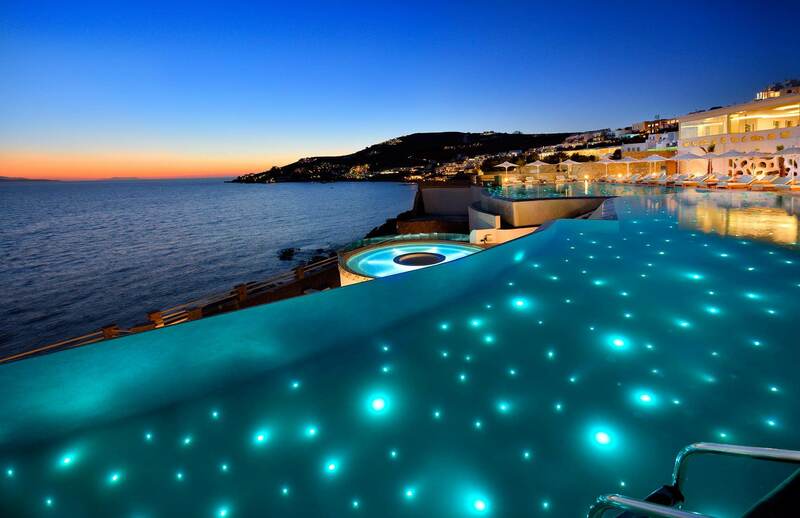 To continue this legacy Anax Resort & Spa Mykonos manage to stand proudly and worthy to this strong name well known to all Greeks as it is synonymous with prosperity and bliss. 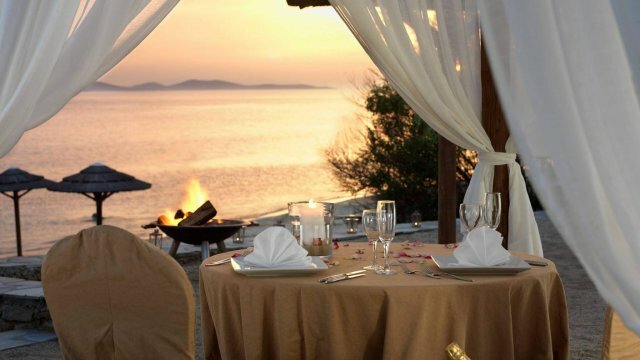 This idyllically constituted establishment offer nothing less that the best of services with an incomparable range of facilities and options for the guests on the suggestions and help of a highly trained staff. Either you prefer to stay in the comfort of your maisonette or join the others in the amazing decorated common areas, you will immediately feel the reason of the creation of this resort and this is only your satisfaction. 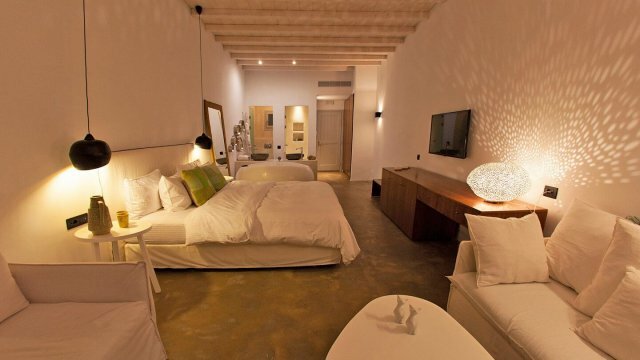 Sophisticated, stylish decor within a Cycladic distinctive architecture and unparallel taste in every single room and corner exhale the lavishness of the resort providing all the ultra modern amenities and technology carefully wrapped with a silver-golden Myconian fancy bow! 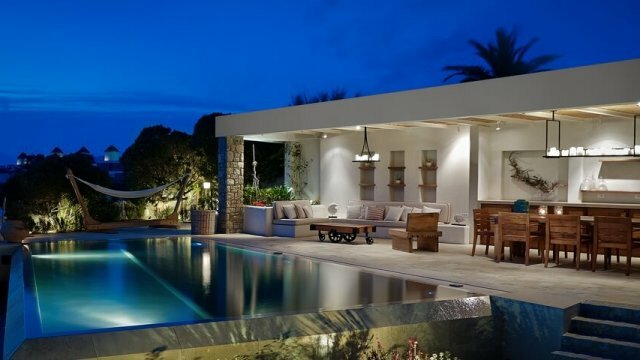 A cosmopolitan getaway in a bay well known for its crystal clear waters and into a vibrant and luxury environment that was born out of the Myconian, authentic beauty and the desire to immerse and spoil ourselves once in a while with no limits and strict rules. 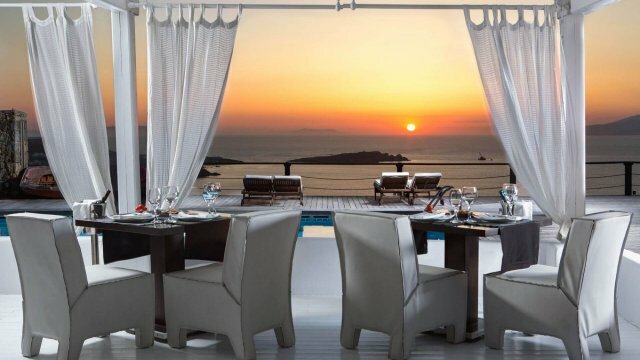 Heavenly made dishes and mouth melting creations with only fresh ingredients coming from the island and carefully chosen areas throughout Greece will release spectacular flavors with every single bite travel you away. This magical, almost ethereal, experience will be in total complete after letting yourself get the ultimate relief with stunning treatments for face and body feeling distressed and ready for the next challenge. 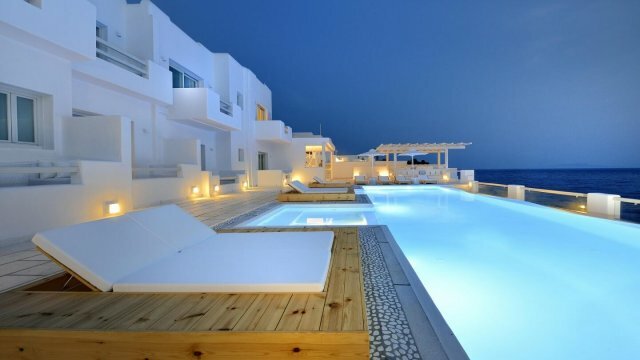 Natural elements in the resort’s suites and the dominating white and blue color combination to remind you that you are indeed in the Cyclades, create a state of the art architecture and a unique sophisticated style. 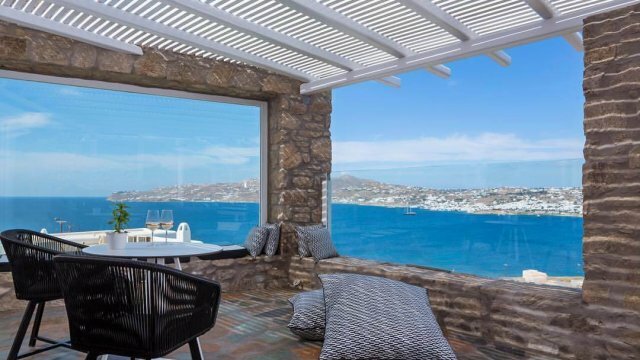 Surrounded by the glorious atmosphere of Mykonos, Nissaki Boutique Hotel is considered a jewel amongst luxury hotels with sea view in the Cyclades.